“I think it’s an awesome job, what I do. We need to be the greatest artists there are. 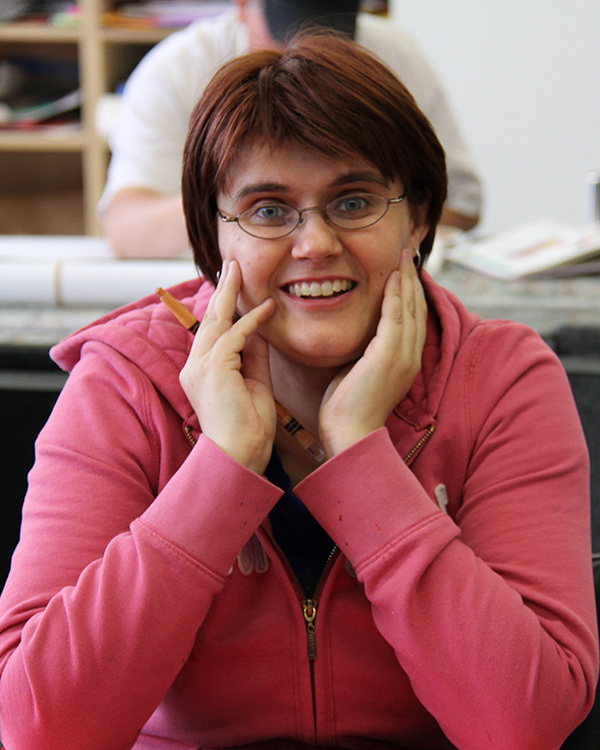 We need artists to teach different skills.” Erin started making at as an adult when she first started coming to the Nina Haggerty Centre. She works with clay, and also in the painting studio. Erin is also interested in beginning to make animations on the computer. Erin recently finished a short film that is going to be featured as part of a film festival in 2016. Erin wants to continue improving as an artist; adding more detail and richness to her current ideas. She hopes to create work people will enjoy.